The Sons Of Liberty - Either You Will be Ruled by God, or You Will be Ruled by Tyrants! 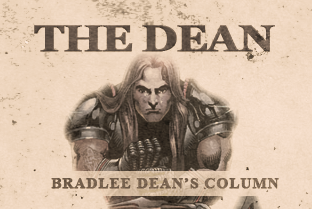 Home - The Dean-Either You Will be Ruled by God, or You Will be Ruled by Tyrants! Just in the month of May, we have seen the attacks toward America’s Christian heritage intensify. Lance Cpl. Monifa Sterling was court -martialed for refusing to take down a paraphrased Bible verse on her computer. General Craig Olson stated at the congressionally supported National Day of Prayer Task Force that God guided him and strengthened his career and that he was a redeemed believer in Christ. Soon afterward, the anti-theists wanted to have him court–martialed. A high school principal was fired after he read the Bible and prayed with a group of students during a volunteer Christian group meeting. A Florida teacher humiliated a 12-year-old boy in front of an entire class after she caught him reading the Bible during free reading time. The good news is that, in each situation, they are contesting their rights and are fighting back (Jude 1:3). Before feeling sorry for yourselves, America, I need to set the record straight. Let me remind you that it is not the ACLU or some other anti-American group or communist organization that is taking away your rights. It is the American people relinquishing and forfeiting the rights that God gave. If the American people would spend their time bringing about resolve by upholding the law, advocating judgment and thereby establishing righteousness and peace, we would have a different country in just one week. If one does tend to agree with the state-controlled media’s anti-Christian narrative, it is because America is not taking the time to study and to know the difference between the truth and the lie (2 Timothy 2:15). I have a personal friend who is a former CIA agent, who told me that the two objectives of this criminal administration is to upend America’s Christian heritage, as well as the American Constitution. By the way, that will never happen (1 Peter 1:25)! What you are seeing in America today is foreign governments at work assailing and indoctrinating the up and coming generations in hopes of overthrowing who you are. At least now you know who is breaking the law (Psalm 94:20). Video: They Would Just Sing Louder!